The capability of Earth observation for global-scale natural phenomena needs to be improved with new observing platforms. We have studied the concept of using the Moon as an Earth observation station in recent years. Compared to manmade satellite platforms, Moon-based Earth observation can obtain multi-spherical, full-band, active and passive information, which has the following advantages: large observation range, variable viewing angle, long-term continuous observation, extra-long life cycle, longevity, consistency, integrity, stability and uniqueness. Moon-based Earth observation is suitable for monitoring large-scale geoscience phenomena including large-scale atmospheric change, large-scale ocean change, large-scale land surface dynamic change, and solid-earth dynamic change. For the purpose of establishing a Moon-based Earth observation platform, we already have a plan to study the following five aspects: mechanisms and models for Moon-based observation of macroscopic Earth science phenomena; sensor parameter optimization and methods for Moon-based Earth observation; lunar site selection and environment; the lunar platform; and a fundamental scientific framework for Moon-based Earth observation. 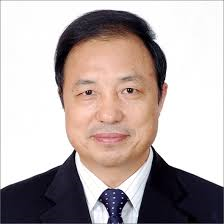 Guo Huadong is a Professor of the Chinese Academy of Sciences (CAS),Institute of Remote Sensing and Digital Earth (RADI), an Academician of CAS,and a Fellow of The World Academy of Sciences for the advancement of science in developing countries (TWAS). He presently serves as President of International Society for Digital Earth (ISDE), Past-President of the International Council for Science (ICSU): Committee on Data for Science and Technology (CODATA), and Editor-in-Chief of the International Journal of Digital Earth published by Taylor & Francis. He also serves as Director of the International Center on Space Technologies for Natural and Cultural Heritage (HIST) under the Auspices of UNESCO, and Director of the CAS-TWAS. Center of Excellence on Space Technology for Disaster Mitigation (SDIM). He has over 30 years of experience in remote sensing, specializing in radar for Earth observation and research on Digital Earth. He has been Principle Investigator for over 30 major national projects in China, and Principle Investigator for 7 international radar remote sensing projects. Prof. Guo has published more than 400 papers and 16 books, and is the principal awardee of 13 national and CAS prizes, one being “National Outstanding Expert”, awarded by the State Council of China.